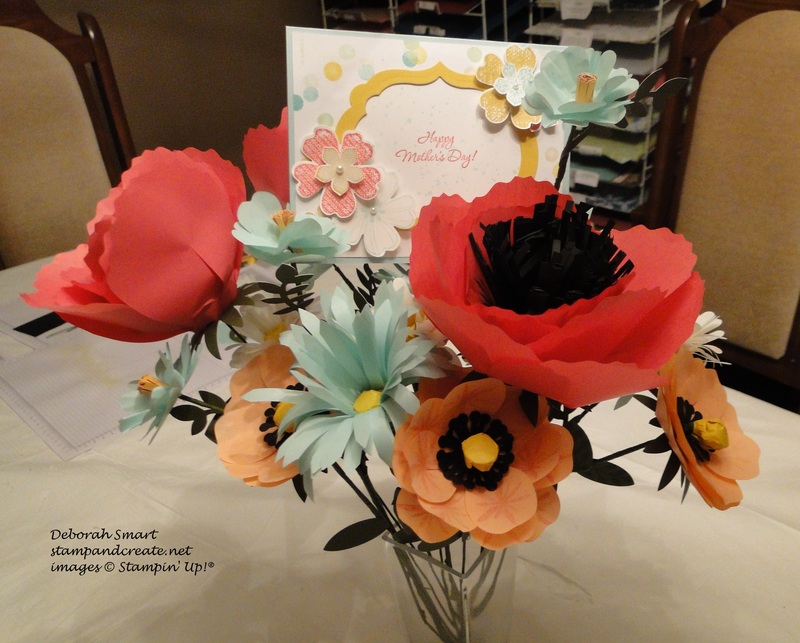 Last night was my Stamp & Create class using the Build a Bouquet Project Kit – and it was such fun! The total kit makes 25 flowers – 5 of each kind – which is way too many to make in one evening class, so everyone made 5 flowers – 1 of each kind. It made for a very pretty small bouquet, and if anyone wants to add to theirs, they can do so by purchasing the whole kit and making them at home. Here is what you get in the entire kit – it is A LOT of product!! It may not look like too much in this picture, but trust me – when you have it all separated out by flower type, and individual flowers, it took over my dining table! 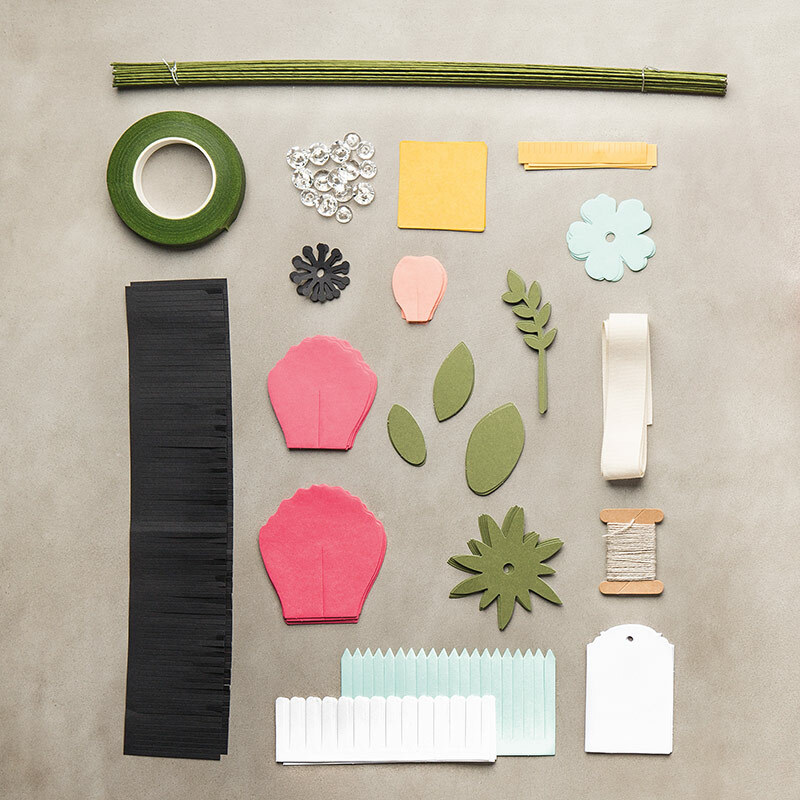 You get cotton paper flowers, die-cut cardstock elements, cotton ribbon, linen thread, gift tags, floral tape, floral stem wires, and faceted buttons for flower centres. Instead of making the tag to go with our bouquet, we made a Mother’s Day card. These are so pretty! I just love the colours used for the flowers; Crisp Cantaloupe, Pool Party, Strawberry Slush, Mossy Meadow and Hello Honey. In this picture (above) you can see the stamping inside the Wild Rose (Crisp Cantaloupe) and inside the Daisy (Hello Honey inside the white petals). I think that the stamping, while not necessary, adds some dimension & depth to the flowers. Let me know if you’d like to see close-up pictures of the individual flowers, and I’ll post them if you’d like. I’ll be posting a separate post with just the card, and full details of how we made that, later. I hope you enjoyed seeing the results of our class! It was lots of fun, and there weren’t many singed fingers from the glue guns! I’m going to be making more flowers (I bought an extra kit 🙂 ) so that I have a complete bouquet for myself….or someone else….or myself! 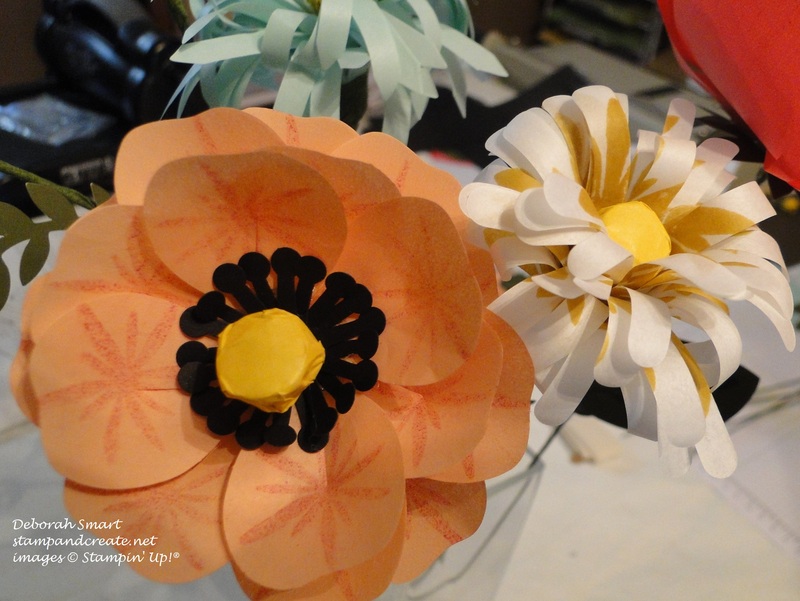 If you would like to make these flowers yourself, just click on the image below to order your Kit; if you’d like to get together with some friends to make these flowers, or anything else, just give me a call or email, and we can arrange that, for a date that works for you! 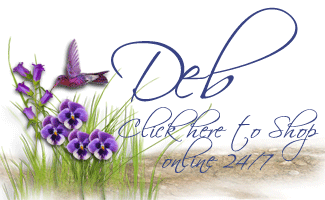 My email is debsmart@shaw.ca, or call me at 604.298.0472 if you’re in the Lower Mainland of B.C. Thanks for visiting me today – have a great day, and happy stamping! Previous Previous post: The Butterflies Have Landed!